This is a 3 ported, 3-way valve, normally closed. Can be used for controlling air, water, oil, and inert gases. 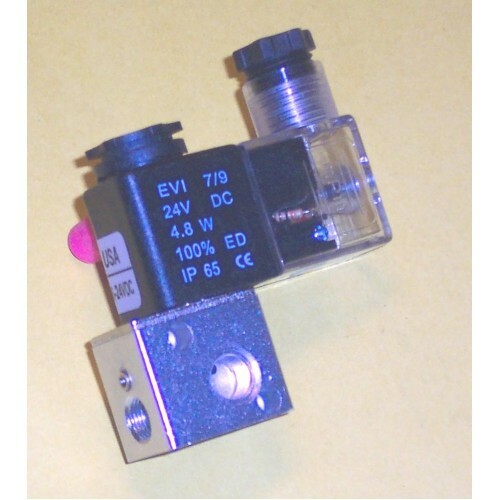 When voltage is applied to the coil, valve opens and allows flow. 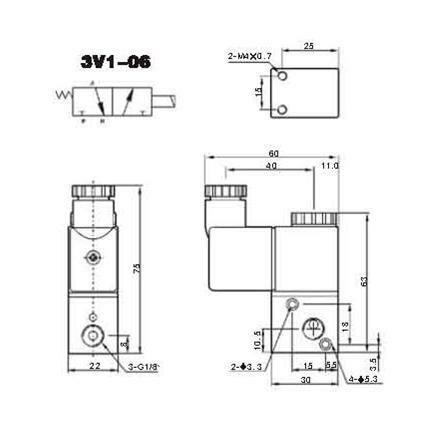 When coil is de-energized, the valve returns to the blocked position and exhausts downstream pressure. These valves may be mounted together to get a common supply port. Please ask for prices on valve stacks. This valve may be used to replace a 3V1-06.